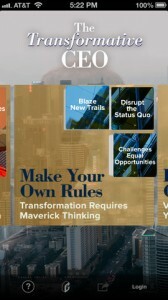 Transformative CEO App Available on iTunes! 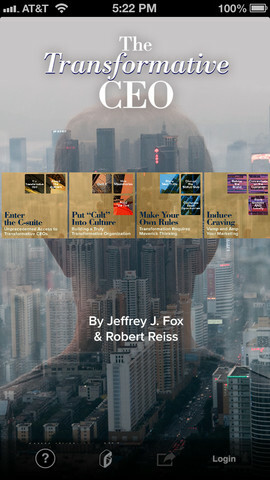 Explore key ideas by Jeffrey Fox and Robert Reiss with interviews and short lessons from some of today’s Transformative CEOs such as: Dan Amos (Aflac), Peter Cuneo (Marvel), George Halvorson (Kaiser Permanente), Jim McCann (1-800-Flowers.com), and many more. Concepts are divided into sections, each are arranged like a deck of cards so users can flip through them. Check out the App: https://itunes.apple.com/us/app/citia-the-transformative-ceo/id660265519?mt=8&ign-mpt=uo%3D2. Leading business is no longer just about change or innovation … it’s about transformation. 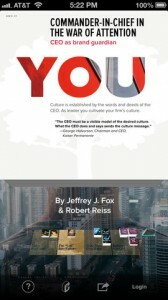 Reiss will enlighten, inspire and entertain you with his message: “The Transformative CEO – Lessons from America’s Top CEOs”. He will facilitate the panel of top executives to help you better understand the rules of how to become transformative leader, inspire teams and lead your organization. 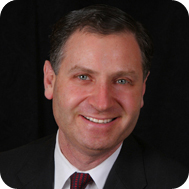 Robert Reiss is founder and host of The CEO Show, nationally syndicated to more than 600,000 listeners on Am/Fm radio. 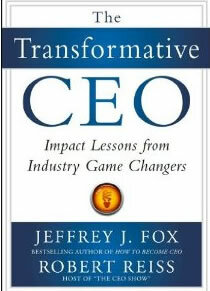 His company publishes The CEO Forum, a quarterly magazine whose subscription base is exclusively 10,000 CEOs and is co-author of The Transformative CEO. He is a regular contributor with Forbes.com, where he has written over 40 columns on CEO perspective. In 2011 Reiss launched The CEO TV Show which is the first pan-mobile program featuring CEOs who have reinvented the fabric of American industry.